Want it by Wednesday 24th April? Order within 3 days, 8 hours, 42 minutes and choose Royal Mail Tracked 24 Hour at checkout. 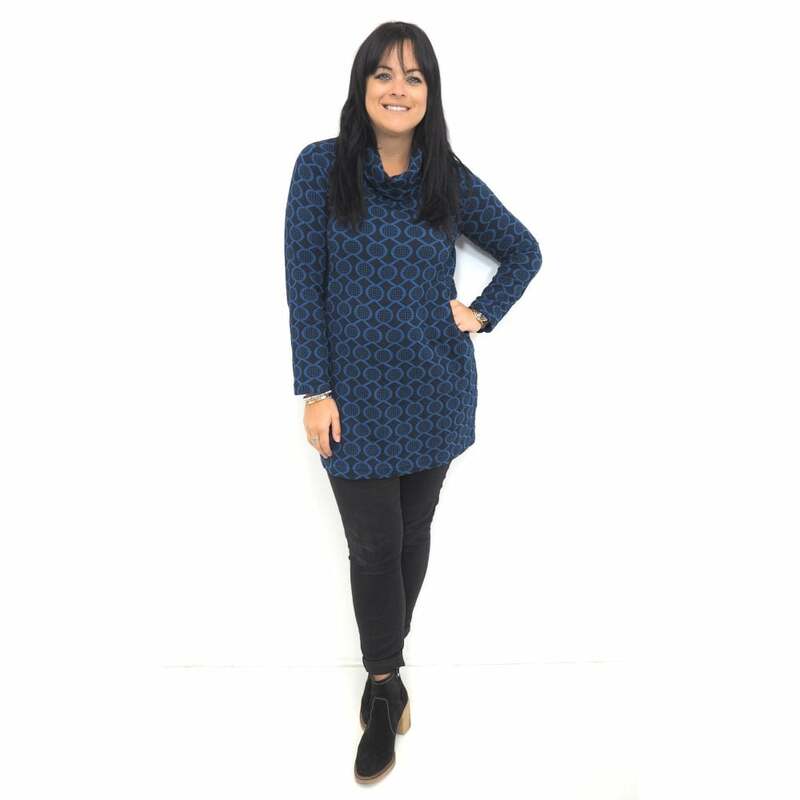 We love this gorgeous cosy long sleeve spotted tunic! Created using a flattering front panel this top is perfect for the winter months. With a cosy cowl neck, side pockets and longer length sleeves this will keep you warm on long winter walks or can be dressed up for work-wear. Available in a beautiful blue and taupe stitched spot design. Why not pair it over leggings or skinny jeans.